The New Bedford Police Department is seeking the public’s help to keep the city safe. Residents and businesses that own security systems are invited to become part of the New Bedford Security Camera Registry. The new database will allow residents and businesses to voluntarily submit their video surveillance system information. Knowing where security cameras are located and having the ability to access the data can help the police solve cases more quickly. Additionally, they will ensure our neighborhoods remain safe and minimize property crimes. Owner information will be kept confidential. 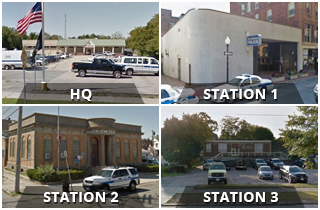 Only select few members of the New Bedford Police Department will know where the cameras are located and who provided the footage to the department. The department will only access security footage with the owners’ permission. It is important to note that the department would not have direct access to your surveillance system but would ask system owners to share video footage that might be needed to help us solve crimes. Residents and business owners willing to share their information can do so through our Web site. To register your information, click here.